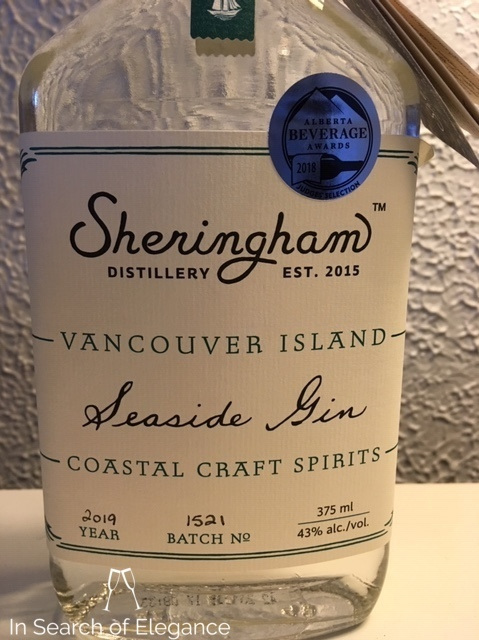 This gin is quite well known in Canadian craft circles - made on Vancouver island with land and ocean botanicals, including local hand-harvested winged kelp which is a signature of most of Sheringham’s products. It definitely supports the coastal character implied by the label. The nose here is really nice, and rather unique – a very nice maritime influence, mixed forest (i.e. desiduous and evergreen), citrus, sea salt, mint, and rich spice – a nicely balanced, rich, and bright nose. The palate has a deep set of vegetal characteristics, but it also carries classic juniper woodiness and spice. I really like the subtle maritime character of the gin, and these seaweed gins tend to carry some nice intrigue and umami at their core. This is even a touch salty! And, it’s hard to deny the lavender edge throughout – it’s not at the centre, but at all the edges. Very nice gin.